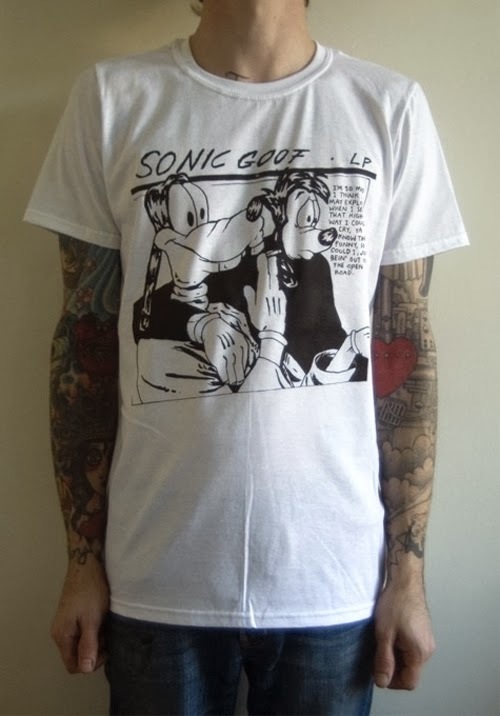 Kieran Gabriel's sold out 'Sonic Goof' T-shirt has been re-printed in a second edition. Head over to Kieran's online store to grab one quick! The Tee parodies the iconic Sonic Youth album cover for Goo, featuring Goofy and his son Max in a crisp black on white single colour screen print illustration. Nice!